Introducing MotorMouth. An easy, fun, and free app that records and tags your voice wherever you are. Listen in as your location comes alive with the sound of others who have left their voice nearby. Wouldn’t you love to know what’s happening where you are right now and have it be as easy as listening to the radio? Why search and sift through a maze of irrelevant information when MotorMouth automatically streams audio that was recorded around you? MotorMouth allows users to record voiceprints at a specific location using their current location, date, and time. Then, as other MotorMouth users pass near the spot where the message was recorded, the voiceprint automatically plays! Reviews, comments, trivia, notifications, reminders, warnings, and other relevant information are played automatically; all without typing or reading. This app is perfect for learning more about where you are: wherever that may be! As you travel, nearby voiceprints are delivered and played automatically. Soon, MotorMouth will include features such as “Groups”, which will allow you to define specific lists of MotorMouth users to listen to – no matter where they are located. MotorMouth is completely free and available on the App Store. MotorMouth works with iOS 5 or newer, and is optimized for iOS 7. Automatically stream audio clips made by MotorMouth users near your current location. Leave your own voiceprints for others to hear. Get the inside scoop at locations you may otherwise be unfamiliar with. Share your recordings on Facebook and Twitter. Eliminate the need for text searching or typing while driving. Use the new “Follow” feature to bond with celebrities by hearing them in their own voice. Comments Off on The Angry Poos are back and hotter than ever! The Angry Poos are back and hotter than ever! DALLAS, TX – September 13, 2013 – The Angry Poo Space saga continues on as everyone’s favorite unlikely space heroes are back for an all new zany adventure. The newest installment of the hilarious independently developed Android game ‘Angry Poo Space’ surprisingly resulted in the developer’s success story featured in an article published on the Samsung Developers website earlier this year. It promises all new action packed game play in a flaming race to space. Angry Poo 2 – Escape From Uranus returns players to the Poos quest to reach the planet Poo-Topia and escape the cold ceramic clutches of King Loo and his villainess toilet army! Disaster strikes as Flamer Poo finds himself separated from his gang of brown buddies and stranded on the planet Uranus. To make matters worse he’s been spotted by the evil King Loo who is bound and determined to catch him and Flush him up. How on earth are you supposed to get away without even having a pair of Tiny Wings to help you fly? Luckily you’re now on Uranus which is a world full of beautiful colored hills. You must use these hills to gain speed and flame up, then you’ll feel like you can fly. Just use the simple one touch game controls to help Flamer Poo escape from Uranus and reunite him with his fart powered friends so they can travel to Poo-Topia and beyond! Angry Poo 2 – Escape from Uranus delivers all the hilarious sound effects, animation and downright inappropriate fun of the original game, in a completely different yet familiar style of game play. You can find the original Angry Poo Space in addition to Angry Poo 2 – Escape from Uranus for free in the Android App Store. Both of the apps will work on all Android devices running OS 2.2 or later. Just when you thought life could get back to normal – the Angry Poos are back and this time it’s Poo-sonal! Nicholas Grant is an Indie iOS & Android App Developer with published projects now spread across multiple App markets. He released his first game in 2011 using the open source iOS based framework called Cocos2D. Since then he created several other iOS titles in both the iOS App Store as well as the iOS jailbroken market known as Cydia. The purpose of his games should be remarkably obvious. The goal is to make you laugh out loud like a kid again. With the help of a Samsung Apps sponsored developer program he ported many of his iOS games over to the Android Platform with the help of the Stella SDK. The Samsung sponsored developer program aimed to aid successful iOS Developers port their apps over to the Android market, and publish them in the Samsung Apps for Android. His success using this tool to port over his game Angry Poo Space resulted in an article getting published by Samsung Developers in January 2013. This also led to Angry Poo Space getting featured in over 20 Samsung Apps markets last March. This helped the game become a true success story and reach the Samsung Apps #1 position in several categories in 16 countries including the US. [Atlanta, GA] September 10, 2013: The PR Guys Promote Your App campaign is announcing these 7 new applications that are being released to the market this week. App Description: Simple, elegant and fast interval (timer + counter) app for exercise enthusiasts to boost their workouts. App Description: iPhone version of our graphing app that allows you to plot real-valued functions, trajectories and vector fields. Includes amazing retina graphics. App Description: “Sand Slider” is a NEW addictive game on the iOS platform. It’s entertaining for all age groups. Those who maintain focus will achieve success. App Description: Candy Madness is a brain busting puzzle game! App Description: Pass your exam with Quizdojo. Turn your PDF notes into an instant quiz to assess yourself for exam preparation. App Description: QuickCure is a beautifully designed iPhone app that provides clear and concise home remedies to help you treat ailments. App Description: Unlimited Free Coins. Ads free game…Guess the word we are looking for? Each puzzle contains four pictures that have something in common – 1 Word in 4 Pics, Ad Free Game. High quality Game plays with Retina Display! Every Device has unique Game play….and Random Levels. In business you never know what’s going to happen; case in point – look at the Cypress Banking Crisis happening right now. The phone lines at those institutions are no doubt ringing off the hook. Whatever the issue the only thing that you know is going to happen is that something will eventually go wrong. Where do you turn when your phone starts ringing off the hook and you can’t handle the internal call volume? Turn to Proactive Call Centers. This company provides emergency call center service. They can be up and running within 24 hrs with a bilingual English/Spanish crew. They are professional, caring, and empathetic to your customers needs. 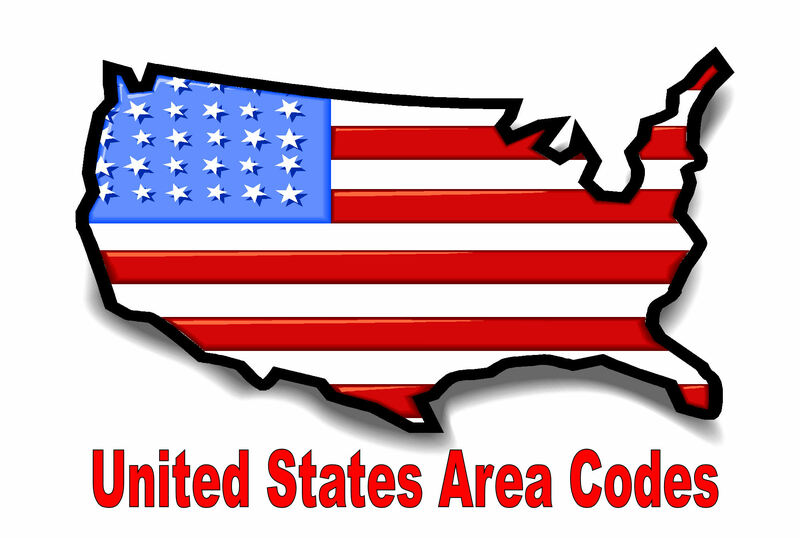 Columbus, GA shares area code 706 with Augusta. Which for those who know the state those two cities are very far apart. There is only pasture land, pine trees, and cotton between them. So when hitting I-185 make sure you have eaten and that you have gas otherwise you have at least 20 miles before you get anything that resembles choices for either item. Once in Columbus go all the way down to Front Street you will see a charming little southern town.